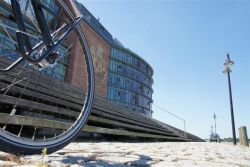 The Hanseatic City of Rostock made a target group analysis covering cycling oriented commuters. The study was launched by the business research institute WIMES from Rostock. The “Survey of mobility patterns of cycling oriented commuters” delivers a highly representative picture of user patterns and behaviour for this target group, and in particular with regard to young cycling oriented commuters. The city's administration now has a better understanding of their motivation, as well as expectations concerning the improvement of bicycle traffic conditions and facilities: Improvements of the infrastructure such as the construction of new bicycle paths or cycle lanes were considered as most important. Around 60 % of respondents that regularly commute by bicycle were young people between 15 and 25 years. 88 % of respondents were residents of the City of Rostock and 12 % lived in one of the surrounding communities. 96 % of the responding residents in Rostock commute within the city boundaries. 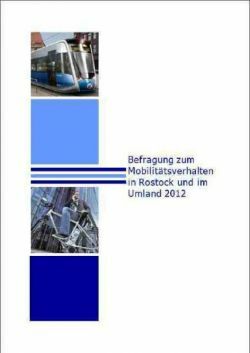 92 % of the respondents living outside the city area commute into the City of Rostock. In the case of 55 % of respondents the distance of travel between home and place of work or education was less than 5 kilometres. Two thirds of respondents named cycling as their principal mode of transport, whereas one quarter of the interviewed commuters primarily use public transport. Health aspects and environmental considerations are the reasons most frequently stated by cycling commuters for regularly travelling by bike. Principal target group of the survey were commuters travelling primarily by bicycle to school, university of work. Classified as commuters in this context were people that make regular use of different modes of transport for travelling between the city and communities located in the immediate surroundings, as well as people commuting between different quarters and districts within the City of Rostock (usually classified as commuters in the context of mobility surveys are only persons travelling between different communities). The questionnaire was developed in cooperation with the University of Rostock. The anticipated rate of return was very high, so 3,549 questionnaires were suitable for evaluation purposes. Due to the methodology of dissemination and publishing of the survey a notably high level of participation by students and members of staff from the Rostock University could be recorded, thereby providing a statistically solid and specifically representative reflection of mobility patterns for this particular target group. All in all it must be observed that, given the target group selection referred to above, the findings of this mobility survey cannot provide a representative picture of commuting patterns. Such a representative commuter survey (based on random selection) should be pursued and conducted in future, in cooperation between the City of Rostock, the County of Rostock and the State Regional Planning Authority. This would help to fill gaps in periodically conducted mobility surveys (e.g. SrV of the TU Dresden) and assist in the identification of potentials and demand for mobility management measures to be implemented by regional authorities as well as public and private sector transport organisations.